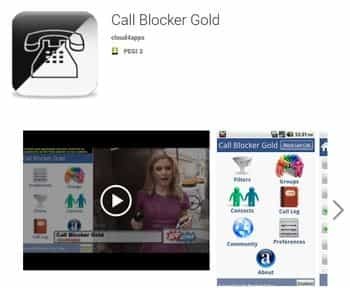 Automatically intercept and reject calls and texts from blacklisted, private or unknown numbers Gizmoquip Call Blocker is an easy to use and full featured call blocker that has 5 blocking modes to choose from including Blacklist, Whitelist, Contacts Only, Block All, and Accept All . Rejected Blocked calls are sent to voicemail. 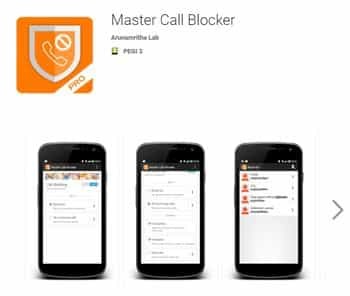 You can easily block annoying calls from people you don’t know or people you know but do not want to talk to. Unwanted incoming calls are automatically silently sent to voice mail when blocked. A notification Icon is displayed when a call is blocked so you can quickly see if any calls have been blocked. Stop telemarketers, debt collector and sales people from wasting your time. Automatically hangup on or send calls to voice mail. You can filter unwanted calls to block calls using any of the 5 blocking modes as follows. Blacklist mode – blocks all numbers in you blacklist. Numbers can be added to the blacklist from contacts, call history, or manually entered. Whitelist mode – blocks all numbers not in your white list. Numbers can be added to the whitelist from contacts, call history, or manually entered. Contacts Only mode – blocks all calls from numbers that are not in your contacts. Block All – Blocks all calls. Accept All – Accept all calls. Also blocks incoming text messages using the same rules as incoming calls. Support wildcard matching using the # character. Example: Block all calls from area code 713, add 713-###-#### to your black list and all calls and text messages from area code 713 will be blocked. You can quickly add a range of phone numbers to the blacklist or whitelist by using wildcard characters. For example, if you want to block all the 800 numbers, you can add 800-###-#### to the blacklist. The # character is the wildcard, and is treated by Call Blocker as all digits between 0-9. All other non-numeric characters have no effect, so using white spaces or dash signs is allowed but will not impact the matching process. Country codes should not be used with wildcard match patterns. for example, if you want to block all numbers from area code 213 in the United States, use 213-###-#### and do not use 001-213-###-#### or +1-213-###-#### . Gizmoquip Call blocker is fully compatible with other Gizmoquip apps including SMS Scheduler, SMS Tracker and SMS Backup.